(This is an advanced drawing tutorial). 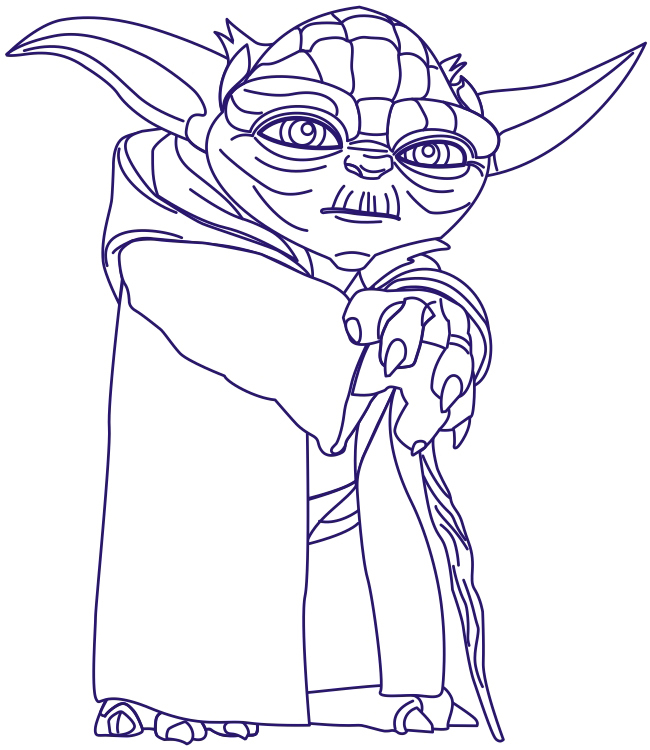 Today we will show you how to draw Yoda from the Star Wars Saga as well as Star Wars The Clone Wars. 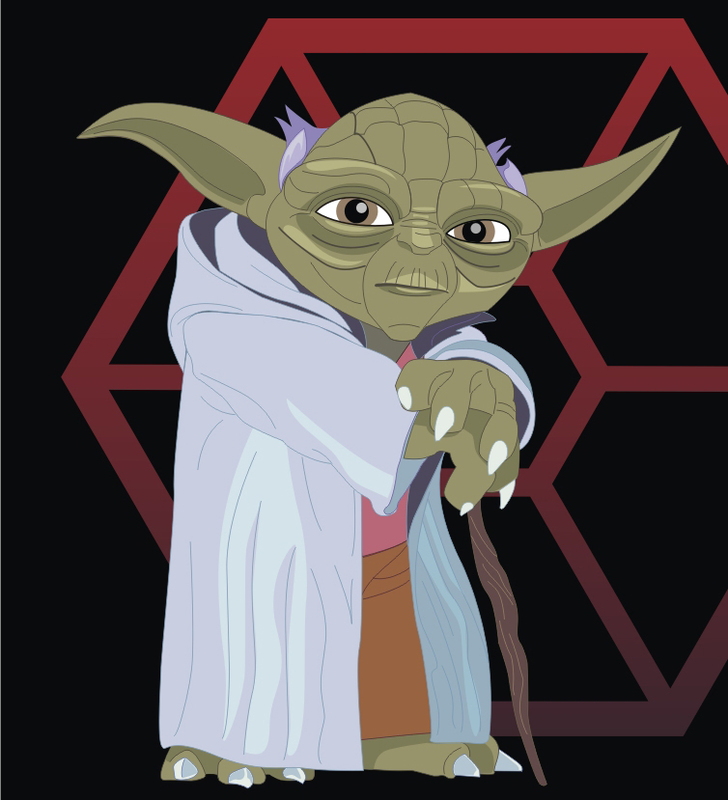 Yoda is one of the most powerful Jedi Masters who is know for his mastery of the force, his wisdom, and for overseeing many battles including the ones in The Clone Wars. 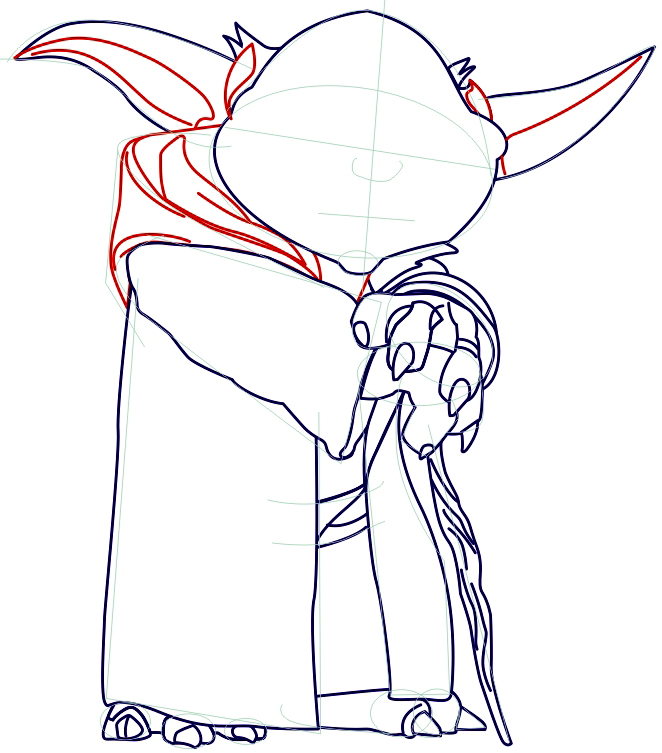 Follow these drawing steps and you will have a great picture of Yoda. Use circles, lines, rectangles and ovals to draw a basic shape. Start with face, stick and hands contour. 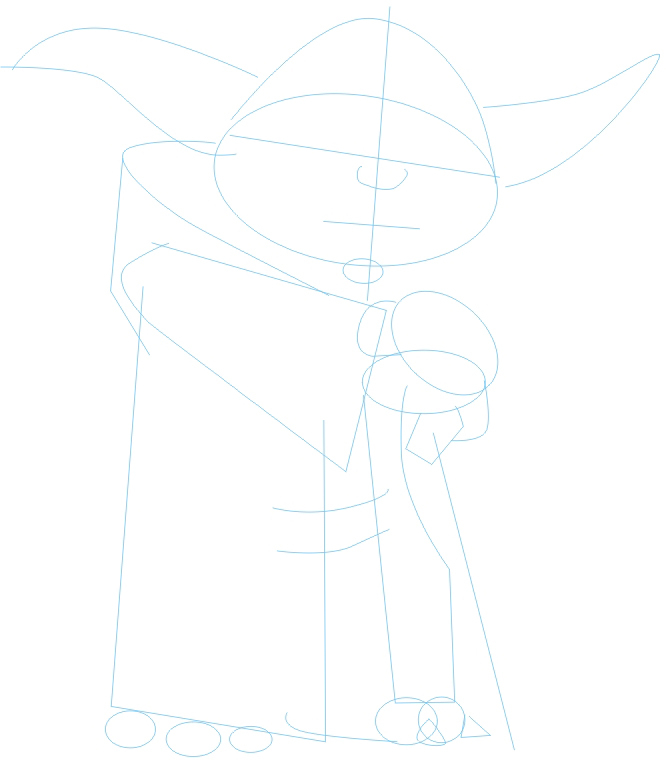 Draw ears and robe contour. 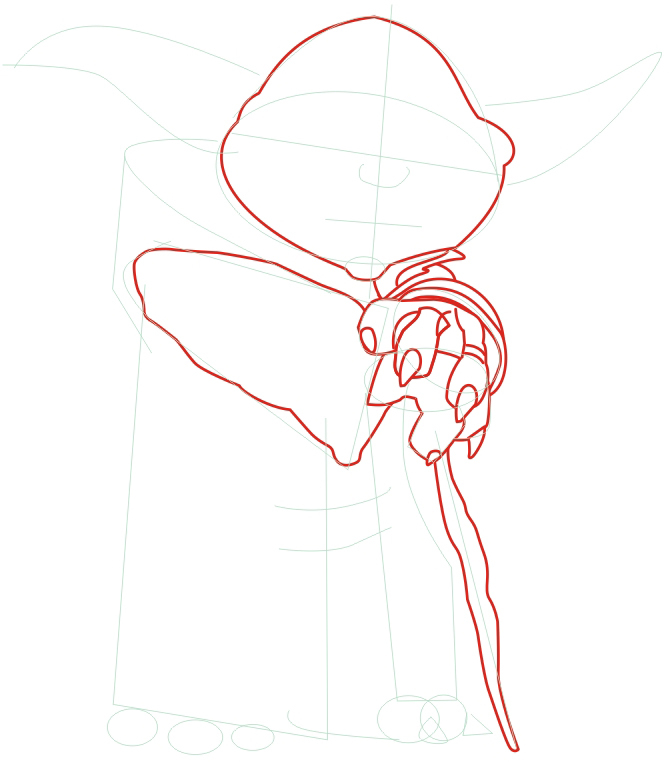 Draw lower body and feet contou. 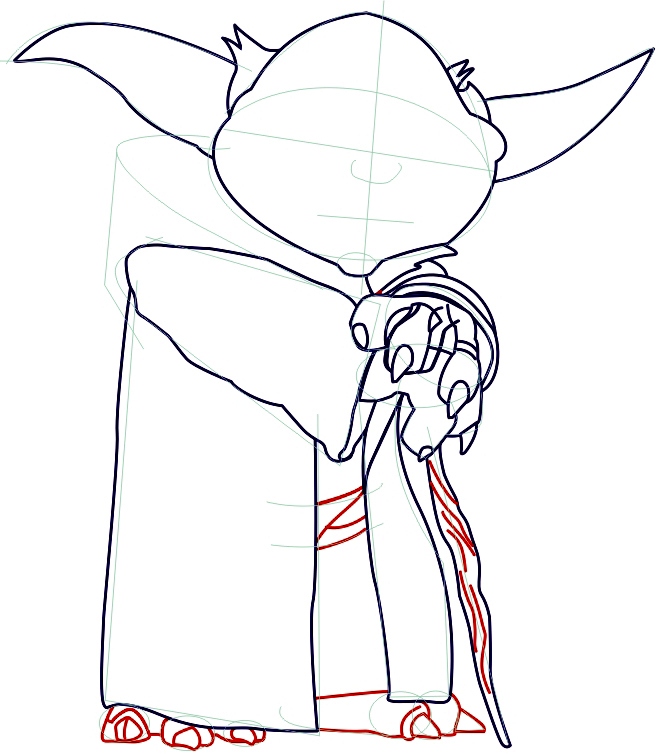 Add robe and ears detail. 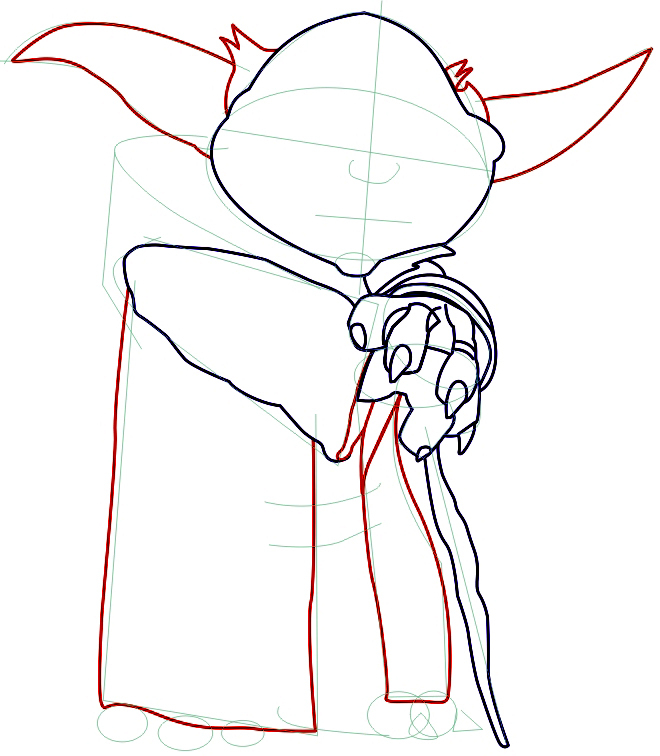 Erase any guidelines and darken or blacken any lines that still need work. 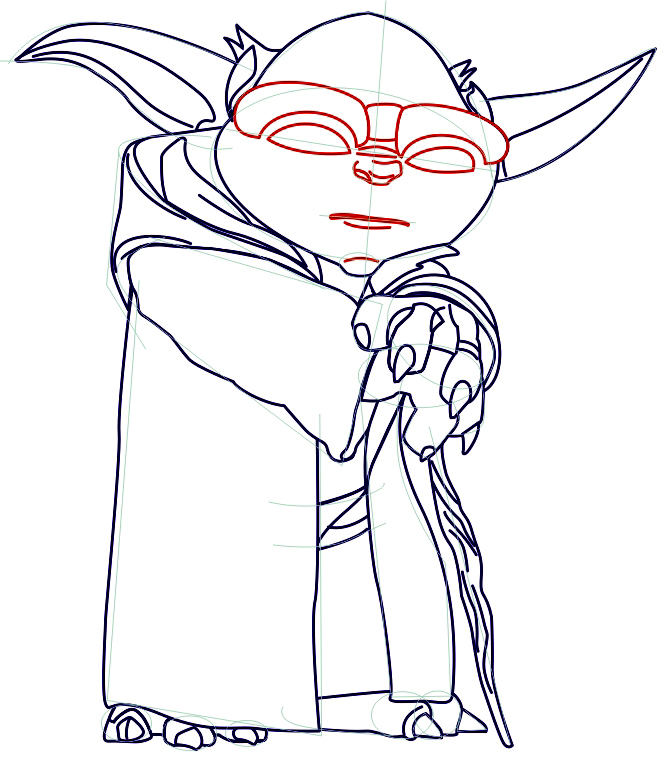 Colorize your Yoda picture and enjoy your new drawing. 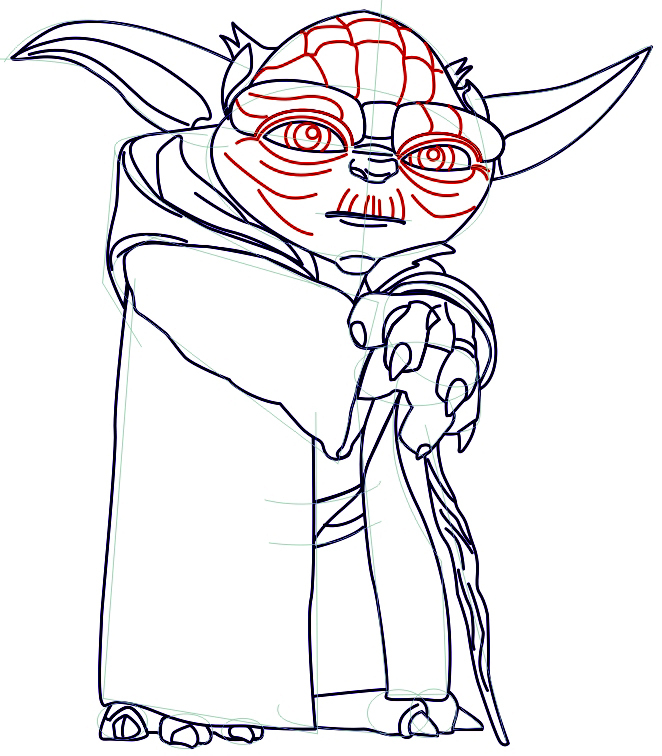 Come back for more Star Wars The Clone Wars tutorials. I hope that you had fun. This article was written on 19 Mar 2014, and is filled under Star Wars Saga.